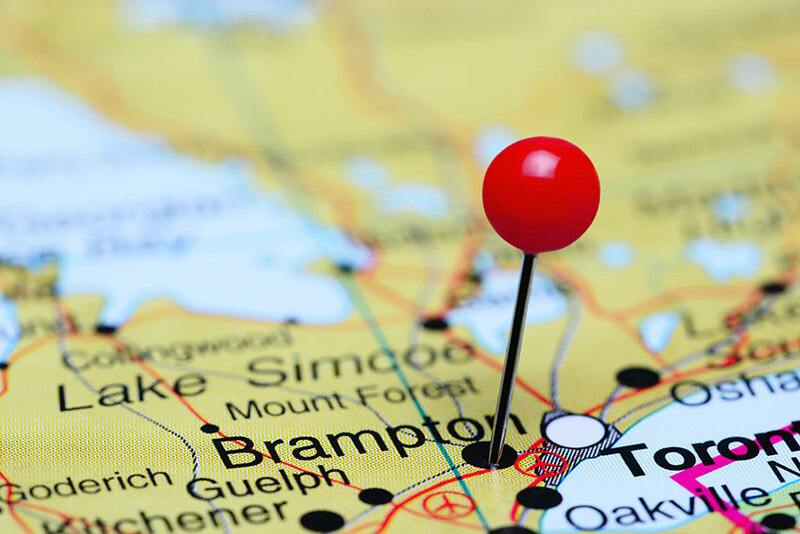 All factors of geography that affect car insurance prices conspire against Brampton. The best policy rate available for a 35-year-old man who drives an 8-year-old sedan and has no marks on his driving record $1,845 annually. Compare this to the same drive, but change the location to Guelph, 70 km to the west. The Guelph driver saves over $800, almost half the premium for the same insurance. Canada’s 9th largest city by population, Brampton sees congestion, poor road conditions, long commutes and a high incidence rate for accidents. Insurance claims costs in the area, also much higher than other parts of the province, may stem from an active insurance fraud network using facilities in the area. Auto insurance fraud practices stem from staged accidents, exploitative towing operators, over-billing repair facilities and unscrupulous medical and rehabilitation clinics. The cost per accident in Brampton is high. All local drivers share the cost to service the area. Brampton is a young city, though the settlement predates the start of the 1800s. It wasn’t until 1974 that the area achieved city status. Known in the past for its nurseries, shoe manufacturing and insurance services, Brampton now boasts Loblaws, Maple Lodge Farms, Chrysler and Canadian Tire as a few of its main employers. Proximity to Toronto and comparatively low property values continue to draw businesses. The table below shows Brampton car insurance estimates for a sample driver. We surveyed the car insurance prices in the city of Brampton for the purpose of illustrating the range in quotes based on driving record, location, and other criteria. To get a customized quote, enter your postal code above. The price motorists pay for life in Brampton is expensive auto insurance. While the insurance industry and local law enforcement address car insurance fraud, drivers must look to other ways to reduce policy prices. Cutting back car insurance coverage to meet the provincial minimum requirement is only an option for a few drivers who are able and willing to take on the financial costs of repairing or replacing a vehicle after an accident. The standard provincial policy does not include collision or comprehensive insurance provisions. However, drivers financing car purchases may find that lenders have insurance requirements. Many Ontario drivers have additional third party insurance coverage. This is a wise move since the provincial requirement is only for $200,000. Settlements from serious accidents often exceed this amount. Any amount in excess of insurance coverage remains the responsibility of the driver. To guard against serious financial strain, it’s common to add liability coverage to $500,000 and beyond. Raising the deductible limits on collision and comprehensive coverage lowers monthly insurance premiums. By taking on more financial responsibility in the case of an accident, a driver lowers day to day costs. A driver must be ready, however, to absorb these costs if an accident occurs. Note that in some cases where a driver is not at fault, other insurance provisions or companies may cover some or all deductible amounts. Check with your agent or broker to determine what applies to your specific policy. Discounts may offer another path to lower auto insurance prices for Brampton drivers. Most, if not all, insurers offer discounts, incentives and price breaks when a driver meets conditions. Insuring more than one car or combining home and auto insurance with one company may qualify you for discounts on those policies. Similarly, insuring more than one driver may lead to price breaks. Other discounts can include vehicle amenities, such as using snow tires for winter driving or adding approved anti-theft devices. Usage-based insurance programs are on offer from some insurers. These track how your vehicle operates. Factors such as acceleration and braking report through a smart phone or diagnostic device. Participating insurance companies offer a discount when you sign up for the program and good driving habits potentially generate further savings. There are many types of auto insurance discounts. Drivers over 55 and motorists who maintain claims free status for a number of years with one insurance company often qualify for a percentage off their policy. Some companies even permit carrying claims free status from another insurer as an incentive to switch. Young drivers qualify for discounts by successfully completing driver training programs that have MTO approval. Be sure to check the MTO site for revoked schools. Certificates of completion won’t be honoured by insurance companies unless a school has MTO approval. At time of publication, two Brampton schools are listed on the list of revoked schools. Some insurance companies also offer discounts to students who maintain honours level marks in high school. 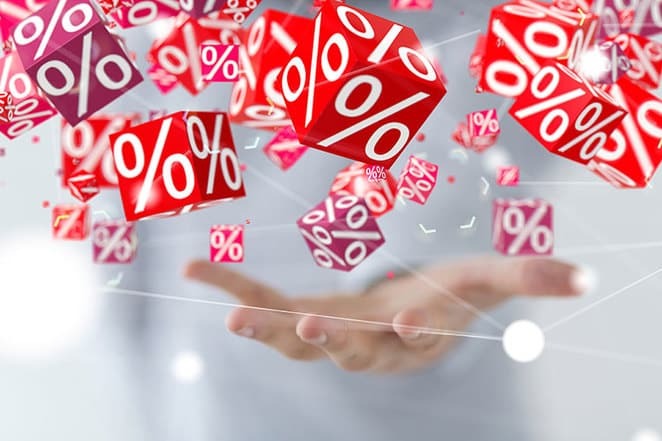 In most cases, you need to request that discounts be applied to your policy, so make it a habit to ask your broker or agent if you qualify for additional savings. Most insurance companies do not add discounts automatically. Highway 410 provides the spine for high volume traffic in and out of Brampton. It runs nortwest to southeast, connecting to Highway 10 in the north and Highway 401 in the south. Toll highway 407ETR runs southwest to northeast across the bottom of Brampton, within its city limits. Highways 7 and 10 provide the main east-west and north-south non-expressway corridors in the city. Highway 7 is now designated Regional Road 107 in Brampton. It’s actually two routes in the city, both Bovaird Drive and Queen Street. Steeles Avenue runs north of the 407ETR and it is another non-expressway thoroughfare into Toronto. Much city congestion within Brampton comes from drivers trying to access the 410. Both Bovaird Drive and Queen Street face this issue. Brampton Transit handles local bus service, including a bus rapid transit system. Given its location in the GTA, Brampton Transit connects to TTC and GO services for commuters into Toronto. The City of Brampton maintains several web pages with information of interest to motorists. This includes road closures, general roads and traffic information, and daily updated construction projects. The Ministry of Transportation for Ontario hosts a traffic report for Peel Region. Toronto news media outlet CP24 reports traffic on the air and through its web page. Check the TRAFFIC tab for the most recent information. The Weather Network provides short-term forecasts for Brampton and area. Brampton has a provincial DriveTest centre at 59 First Gulf Boulevard, Unit 9. Over 30 outlets provide DriveClean emissions testing and repairs. Though Highway 410 first hit planning stages in the 1960s, it wasn’t completed as a controlled access freeway until 1991. A further extension brought it to its current length in 2009. The 410 acts as an extension of Highway 403 north of the 401. Where the three highways intersect, there is a four-level flyover interchange. Current plans have portions of the 410 widening to 10 lanes by 2018. This project runs from the 401 to Queen Street. The 407ETR is one of the first examples of uninterrupted access toll highway. There are no toll booths. Vehicles report access using a transponder when entering and exiting the highway. If a car has no transponder, then the license plate is photographed digitally. Monthly billing takes place, with invoices summarizing travel sent to the vehicle’s owner. With the unique challenges facing Brampton drivers, locating the lowest car insurance rates is a priority for many. Ratelab’s car insurance calculator is a powerful comparison shopping tool that matches insurance needs with the lowest cost providers. Start the quote process by entering your home postal code below. The process takes just a few minutes and provides you with up to 10 car insurance estimates matched to your needs.